Volunteers of Mahila Arogya Vikas – Vizianagaram, distributed fruits to the patients of Maharaja Hospital – Vizianagaram, on the occasion of Gurupurnima – 8th July 2017. Mahila Arogya Vikas is the Womens Health Care Wing of Vikasatarangini. 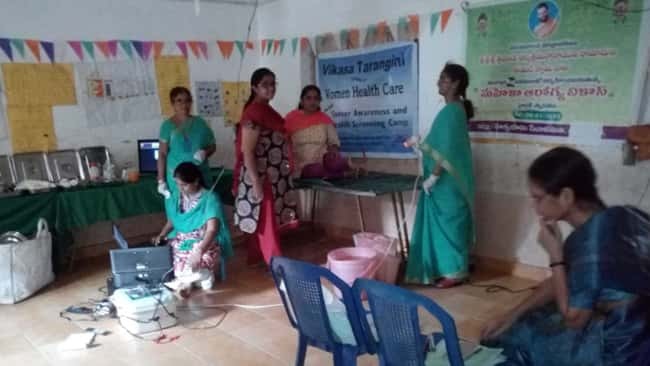 The members of MAV organize several programs regularly in remote villages and towns in the AP And Telangana to bring awareness in Women about general health issues in women, symptoms and its treatment procedures. 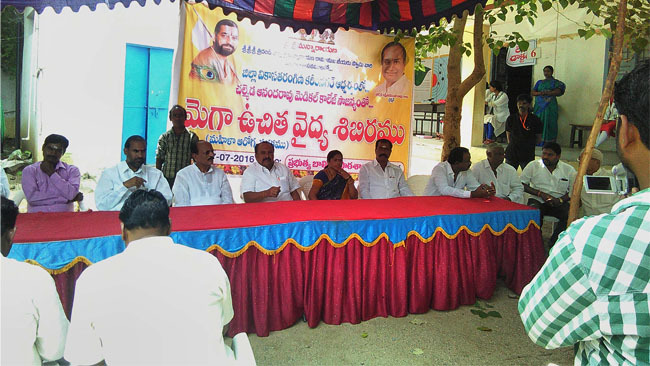 When the patients of Maharaja Hospitals – Vizianagaram received the fruits from the members on Gurupurnima, they felt very happy and blessed by Sri Swamiji. To Serve All Beings as Service to God, is one of the messages of Sri Swamiji. And so, “Come!” Lets participate in such services where we are able to extend our dedication to Acharya, by realizing God as the in-dweller of all beings.